This is the second part of the Freelance Translator Essential Skills for Success series click here to read the first article. 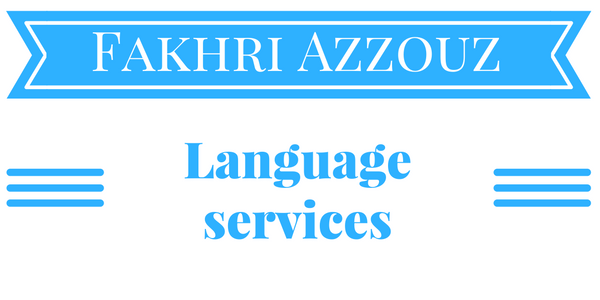 As a professional freelance translator it is required to have your own website and with it a professional email address (not a Yahoo, Gmail, or Microsoft live email address). You can show your portfolio on your website and write a blog for a better visibility and SEO (Search Engine Optimization). Creating your own website is not a difficult task using WordPress here is a youtube video that shows you how. Please note that you don’t need to have any coding experience to create a website with WordPress you can do everything with mouse clicks. Meantime, you need to be aware that your website needs maintenance and you will have to be a little techie and patient to solve issues that may occur. To set up your own website I advise you to choose a hosting service that uses Cpanel as this will make many tasks simpler and faster. The cost of the website, if you do it yourself, is less than 40 USD a year. There are free WordPress themes that will do the main job such as Zerif Lite, Parallax One, and Hestia (the one I am using on this website is Parallax One). It goes without saying that you will need a business card, a resume, and network online and offline. Advanced Google search capabilities will not only make your work easier but also feasible in some cases, especially if you are not sure of the results found in popular bilingual dictionaries such as reverso. 1- Use multiple keywords to narrow down your query and be more precise. 2- Don’t use stop words like the, in, at, of etc as Google adds them automatically. 3- Word order is important and different word order yields different results. 4- Exact phrases: To search for a phrase in an exact order put these words between quotation marks ”keywords to search”. Thus Google will look for the exact phrase in that exact order. Otherwise, your result page will show the result of these words in any order. 5- Punctuation: most punctuation is ignored except the hyphen, accent, and the apostrophe. 6- Singular and plural: pay attention to singular and plural they don’t yield the same results. 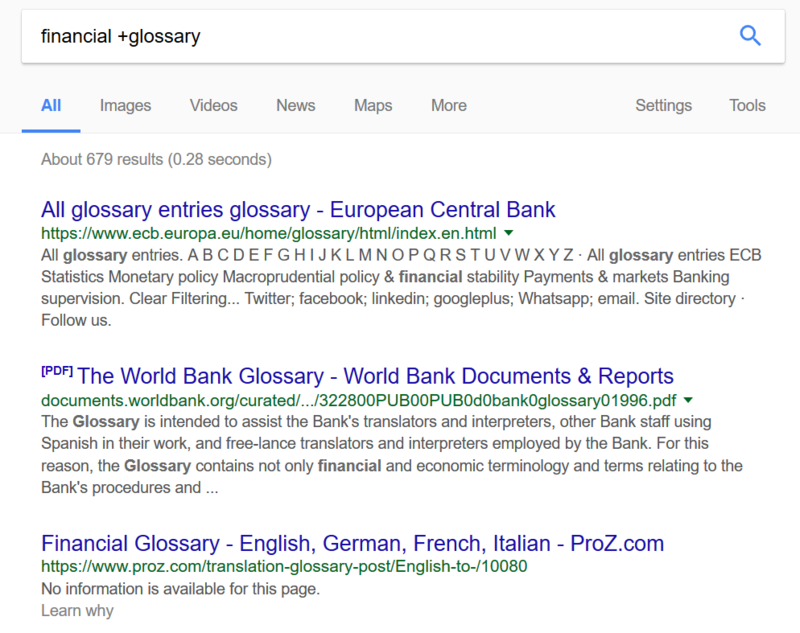 financial +glossary will not generate dictionary, terms etc it will search glossary only. The result is also different. 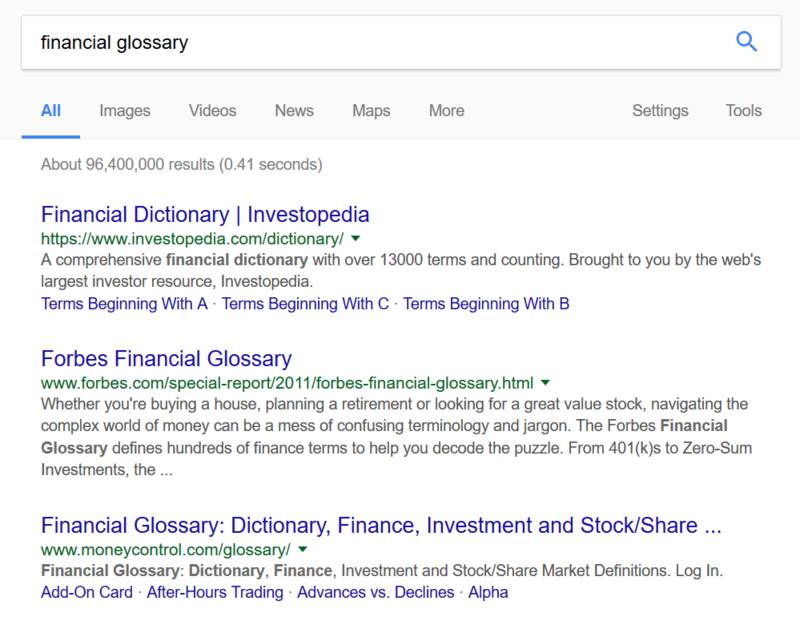 financial +glossary generate fewer results and is narrowed down. These two screenshots below show the difference in using + sign before a keyword. Search results with + sign, fewer results, and more precision and no stemming. 8- Wildcard: You can use asterisk * to substitute for a word you can’t remember. For example San Francisco * Camry. * sign will substitute used, new or 2017, 2016 etc. 9- Look for specialized glossaries in PDF and word file format. Don’t forget to check if the file is current otherwise, in some cases, it won’t be very helpful. site:sciencedirect.com PTSD that is site: URL Keyword. If you are interested in a full free course about Google Advanced search check this link. Finally, if you work mainly with the English language it is far better to always use Google.com. For this install this extension in Google Chrome you will find equivalents in other browsers. It is mainly called NCR No Country Redirect extension. If you have any addition feel free to comment. Another part of this series is coming soon.